The most popular Michelin tyre to date, the Primacy HP AO provides some of the shortest braking distances in wet conditions and offers the greatest longevity of all their models. You only have to look at the 150 vehicles that use the Michelin Primacy HP AO as original manufacturer equipment (OEM) to get a feel for it's quality. This special edition has been designed and manufacturered in association with Audi in order to ensure the highest standards on it's vehicles. The tyre will therefore bare the Audi "AO" marking on the sidewall to iindicate this. You only have to look at the 150 vehicles that use the Michelin Primacy HP AO as original manufacturer equipment (OEM) to get a feel for it's quality. 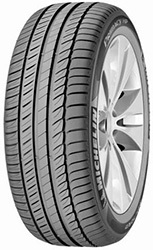 The Michelin Primacy HP AO is currently being phased out to be replaced by the newer model the Michelin Primacy 3, also available through Easywheels.co.ukThis special edition has been designed and manufacturered in association with Audi in order to ensure the highest standards on it's vehicles. The tyre will therefore bare the Audi "AO" marking on the sidewall to iindicate this.N.B the tyre will fit on to many other vehicles and some prefer to use the Audi approved models as a reassurance of the quality.